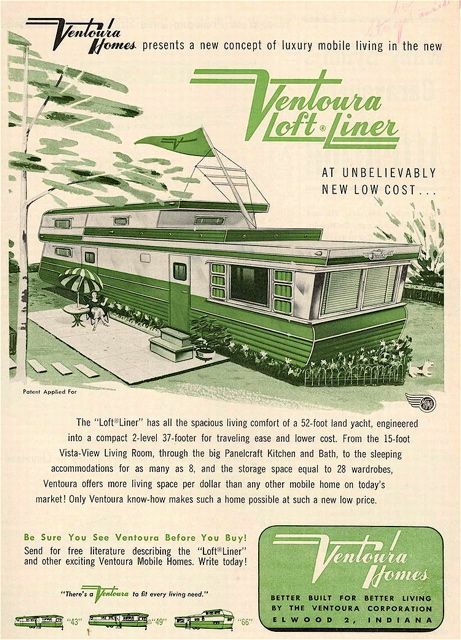 Back in the good ole’ days, mobile home designers were not scared of innovation. 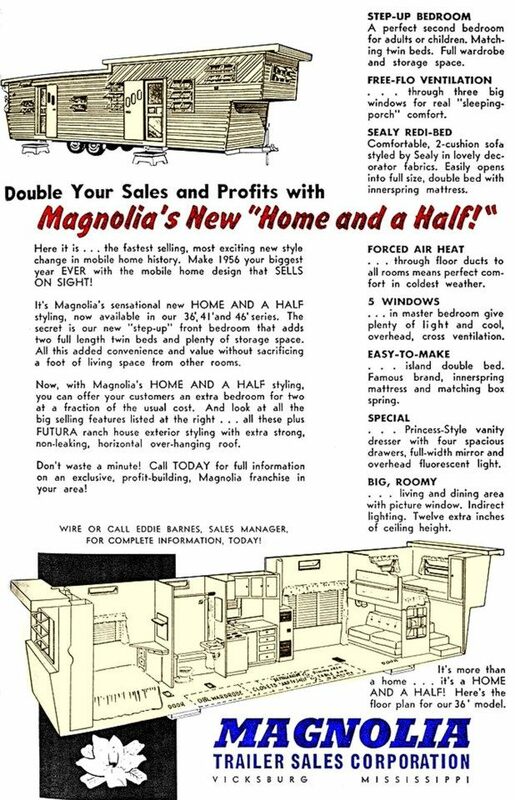 Hundreds of mobile home builders were competing for sales and the first company to come up with the newest, biggest, or most unique mobile homes were going to be most successful. 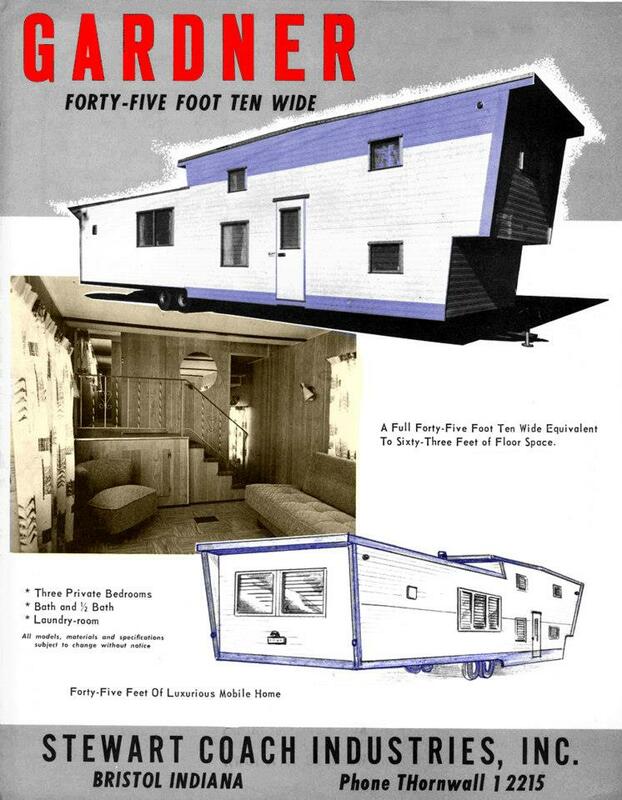 Several well-known and respected builders released two-story mobile homes in the 1950’s as an answer to the highway restriction that plagued the industry. US highways had an 8′ wide restriction on mobile homes – meaning all mobile homes had to be less than 8 foot wide to legally use the national highway system. This restriction is the reason mobile homes didn’t have hallways. Naturally, privacy was a concern for families living in mobile homes full-time and the builders needed to find a remedy. They couldn’t build out so they built up. 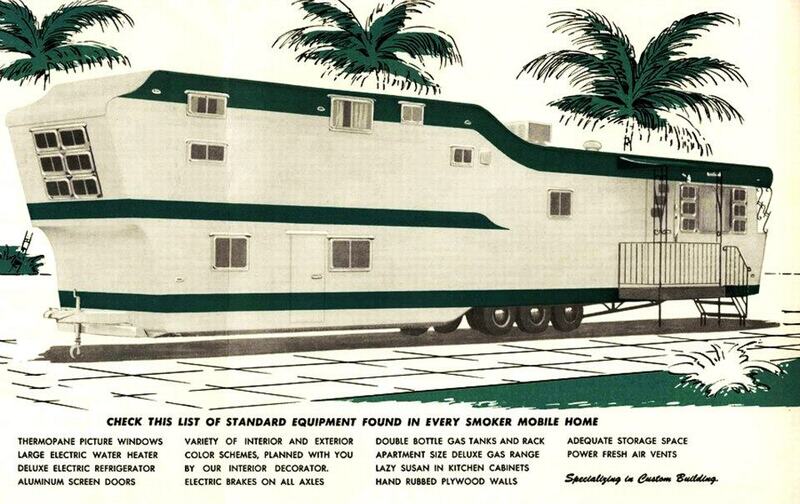 A popular design concept was two story mobile homes, aka the bi-level or tri-level mobile home or the double-decker. These homes were an answer to a couple of different problems. The first was the issue of width. Until 1954, 8 foot was the maximum width allowed on national highways. The other was space efficiency. Going up allowed more living space and mobile homes that were bigger often sold better. Are there any companies manufacturing new two story mobile homes? The best we have nowadays is the Park Model Homes but they are classified as RV’s so we can’t do much with them. They are relegated to campgrounds and off-grid situations where land use laws don’t apply. Click here for our articles on Park Models. hi Crystal I don’t own a mobile but have lived in a few. I am in the mist of building a tiny home on wheels and in my searching I fell in love with the Spartans and especially the “Lighthouse DuPlex two story” do you know where I can get anymore information on it ? I am looking for floorplan, construction framing ,construction layout pipes, electrical etc. thank you sincerely deb bushee in VT. ps. love you site!! Spartans are my all-time favorite mobile homes! The Lighthouse brand isn’t associated with Spartans as far as I know but I think they were inspired by them. 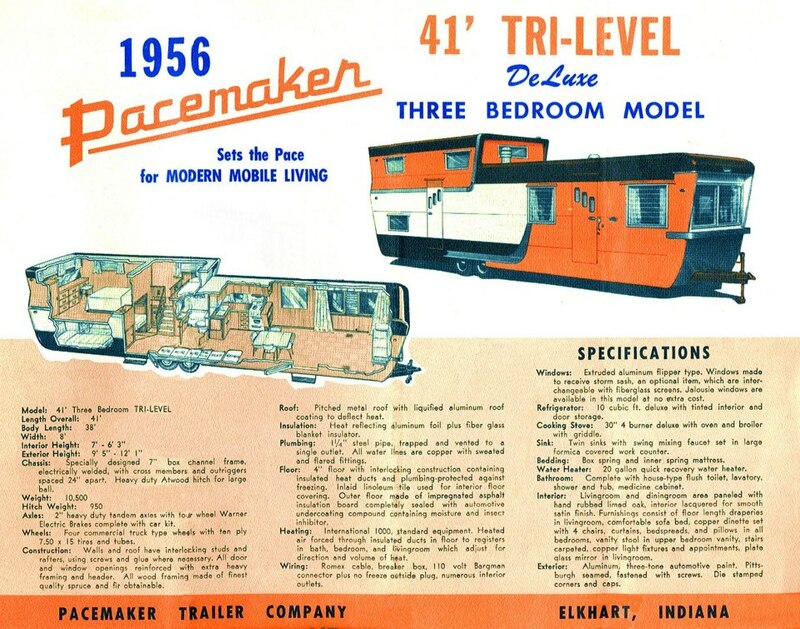 Unfortunately, information on vintage mobile homes is hard to find. 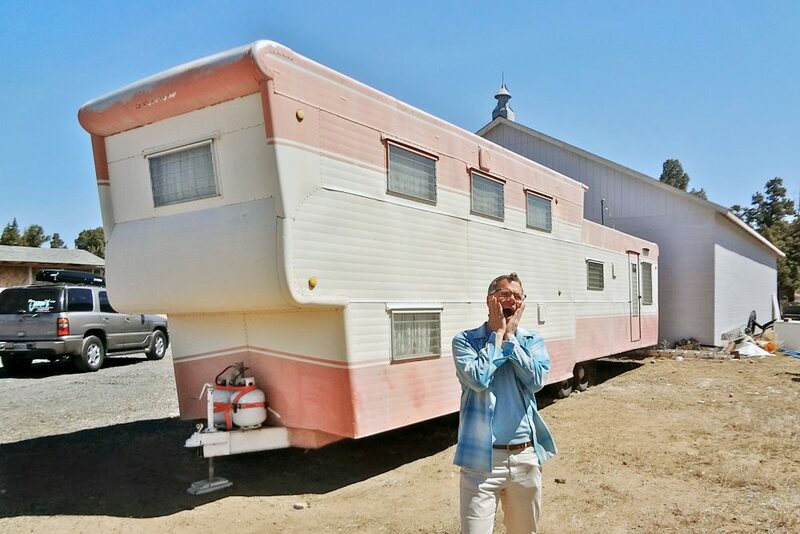 There are a few mobile home restorers on Facebook that you can find easily (searching for vintage mobile homes should pull them up)- he may be able to help you (I saw it just the other day but I cannot remember his name, sorry). You may luck up finding an old brochure or sales ad. Finding info is one of the more maddening aspects of vintage mobile homes. Can you still find 10 wide ? Yeah, there are a lot of older mobile homes on Craigslist that are 10′. Our 1978 single wide is 12′ x 58′ and that’s a good size for a small family (2 adults and a child). Oh wow Crystal! These are so cool looking. I wonder if there are any still in use today? So incredibly cute.. My little brain is thinking of all kinds of decorating ideas I would do with one of them.. Thanks for another great article.. They do, they’re just called Park Models now and are classified as a recreational vehicle. These have the ‘second’ story bedroom and usually a master bed and bath downstairs. Because of their classification a lot of local codes prohibit them to be installed within city limits so they are mostly put on private lands and campgrounds. Would love to see some and go back in time just for a day!!! Thanks and keep them coming!!! I have such a good time every time I visit your site! I manage a mobile home community, and love mobile home living. When I was a little girl my dad started a love in me for the “home in a box” by attending the Indiana State Fair very year. 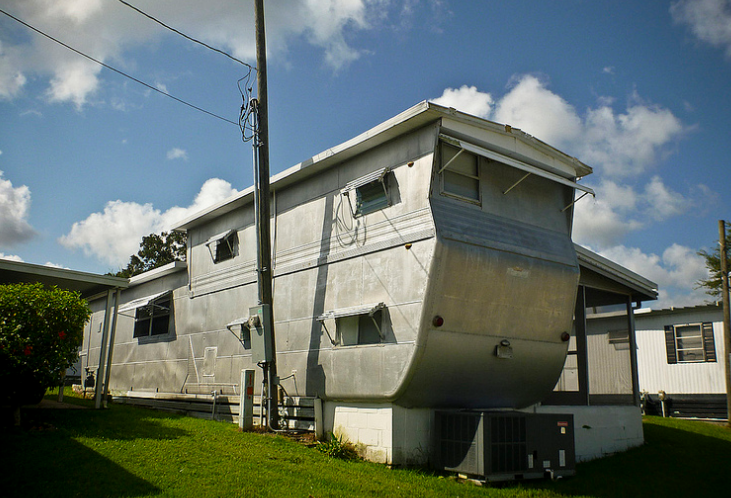 I was amazed at what could be put in a rectangle and pulled by a car – a home on wheels!! 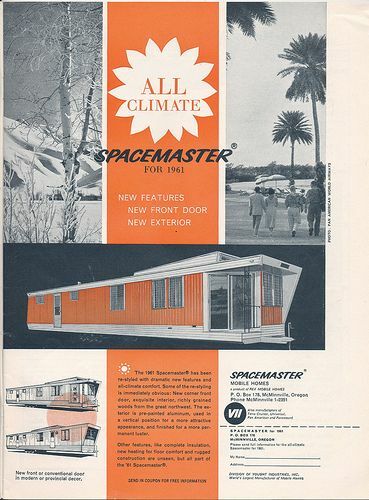 At the time, I had no idea that there were mobile home parks that people could actually live in or the artful design of the old classic mobile trailers that were multi level! Fast forward some 50 years, and over the last 10 of those years, I’ve fallen in love with the resourceful life style of living in one of this treasures! My home is a 1983 Skyline, and absolutely beautiful. It’s hard to find one of these old beauties, but when we do it’s priceless to say the least. Thanks to these interesting and almost obselete dinosaurs we now have renewed interest in revamping them, and moving forward into the latest craze of the tiny house movement. 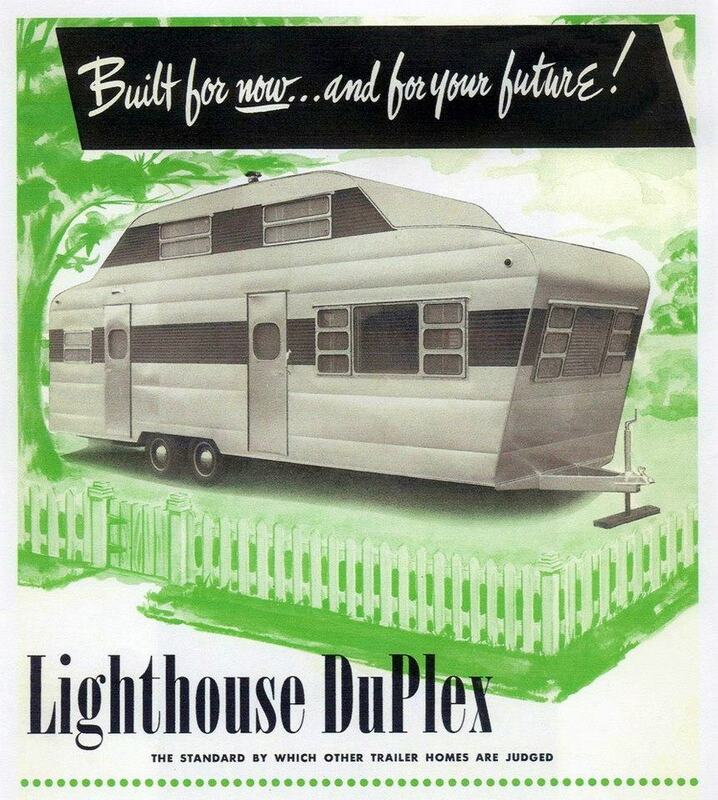 Personally I’d take a revamped mobile home any day! Thanks for your passion regarding mobile homes, and for giving us such great stories and insights into others just like us – their rehabs and design techniques foster a whole lot of soulful joy! Here’s a “High Five” for the simple resourceful lifestyle that so many of us love and cherish!! Your comment means a lot to me, thank you so much for taking the time to write it! I appreciate you! How entertaining to see these ads. What a time it was. Takes me back to Tucson back in the 50’s even though I wasn’t born until ’64! I would like to know of anyone knows of a certain mobile home sold in the Ohio Valley back in the 1979-’81 era that had a huge raised front end which had a kitchen just behind its tongue and a storage door underneath? I realize it sounds corny looking but they were absolute babes. They were most likely 14×70 in size. I remember one being yellowish and another having a lot of brown on its exterior. Anyone know of their brand names and manufacturer? I do not have Facebook. I have been trying to find info on a trailer I owned in the 1980’s. 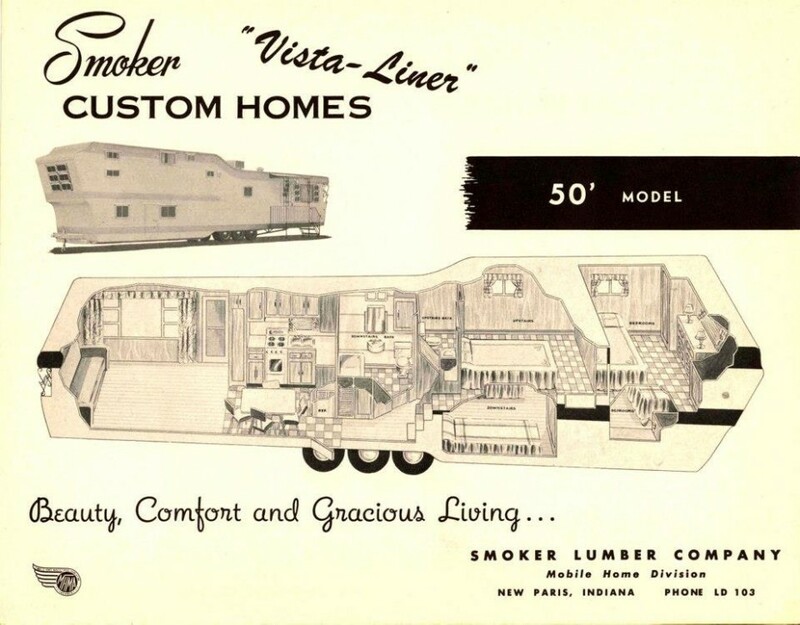 The trailer was 2 stories and 38′ long and made in 1956. I can’t remember the name but I remember it was built in Elwood. Ind. The two bedrooms were upstairs over the kitchen and bathroom, with the stairs going up from the center and between the kitchen and Bath. The bathroom was a step down and had a sink, tub/shower, toilet and a front load washer and dryer. It looks similar to the Ventoura, but the roof line was level from the back to the front bedroom then sloped from there to the front. The Living room ceiling was over 8′ high. Any ideas what maker this was? We lived in it the first year we were married and now that we are done raising children would like to downsize to something like this in the future. Wow Crystal that was just so much fun! !I loved all the pictures and comments!I’ve never lived in a mobile home but think I would have enjoyed some of these. Again thanks for the “tour” I’ll look forward to seeing more pics and articles.???????????????? One other thing… While traveling to the Blue Ridge Parkway several years ago I saw some two story mobile homes that were colonial in style., big white columns and all! Very odd .I wasn’t the driver so I didn’t get a chance to tour one.have you ever seen any like that? Thank you for finding this information. I have looked several times and could not find a thing on the Tri-Level mobile home. 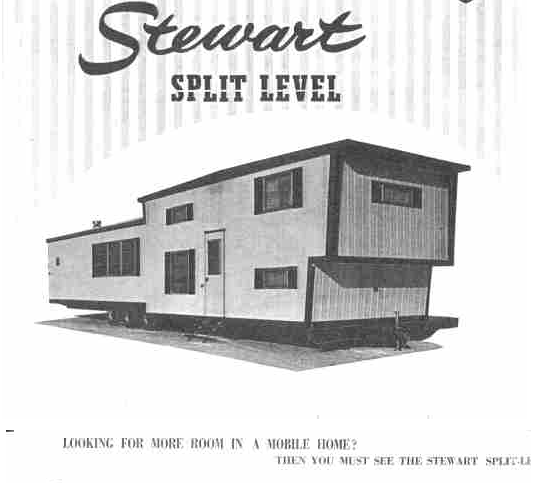 When I was twelve my mother purchased a Stewart Tri-Level trailer. Our family had been born and raised in Michigan but Mom had gotten a job offered in PA and she was determined to move my brother and I with her to PA that summer. When she saw the Tri-Level she feel in love with the style and purchased our home on the spot. We had to wait for five weeks for our new home to reach us in PA. It took the delivery team almost two weeks of constant driving. Special permits had to be arranged before it could be driven on the turnpike, underpasses etc. Once the driver reached PA he had to deal with low overpasses, covered bridges, and narrow winding roads. In the 60’s maps were not current and low overpasses were not noted so it was hit or miss….but they made it. 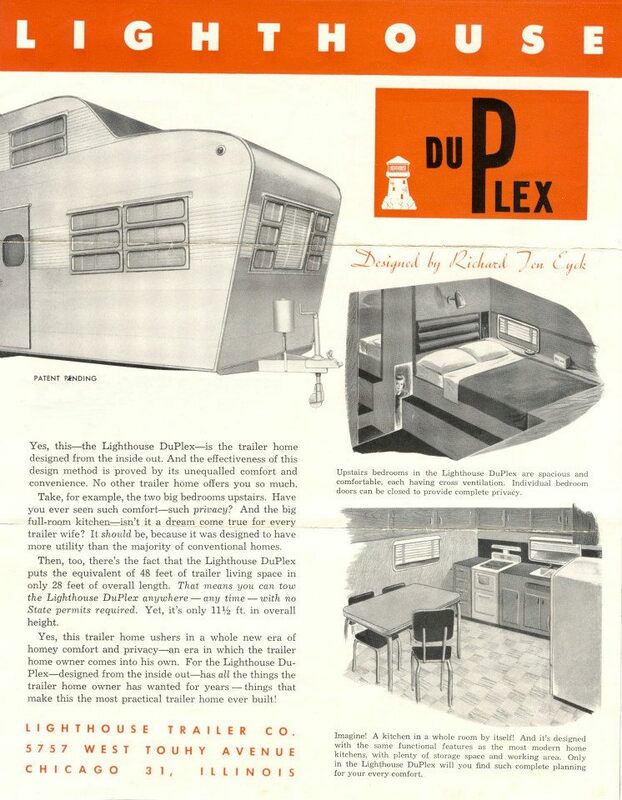 As a young person I thought our new home was the most beautiful home I had ever seen but we were not prepared for the condition of the mobile home parks in our area. In Michigan they were beautiful, but that was not the case in PA. We had to move two times, but we really loved our home so we all made the best of the situation. 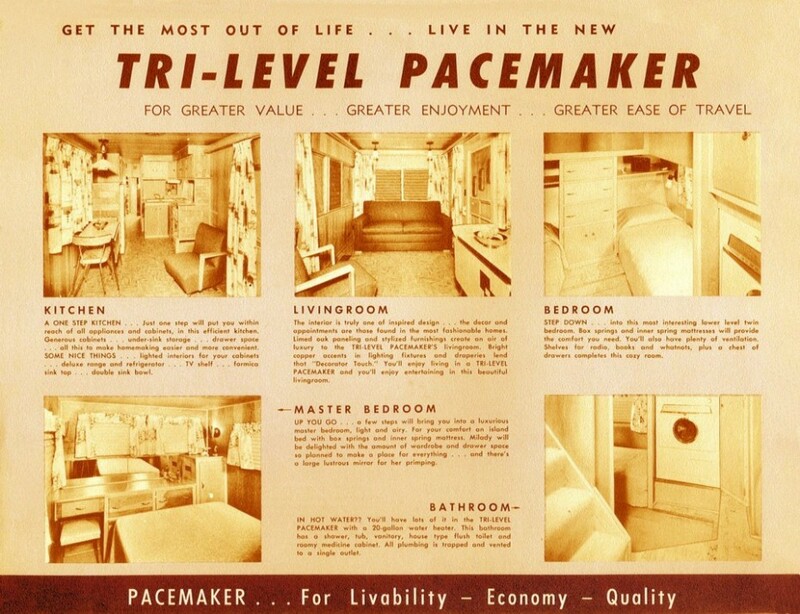 I lived in a Stewart Tri-Level with my mother and brother for over six years. I would plan sleep-overs and my girl friends parents would worry about where their daughters were going for the night and then be totally surprised when they were invited in. 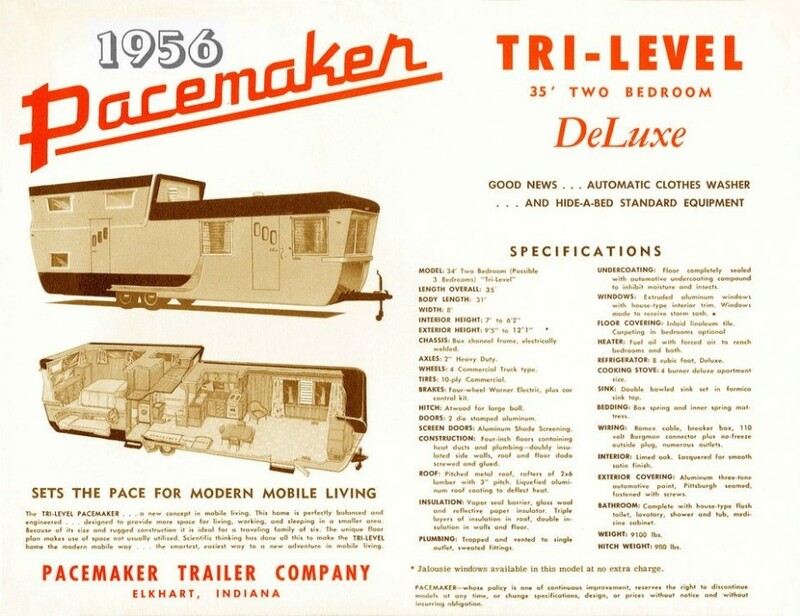 My Tri-Level was the best and I was always proud to show it off. My mom ended up selling it about five years after my brother and I left. A couple bought the home to move it up to the Poconos to use as a vacation home. Very fond memories and I am still amazed that every inch of space was used and I could clean it top to bottom in 45 minutes. Totally awesome home. Thanks again for your terrific research. I loved reading comment! 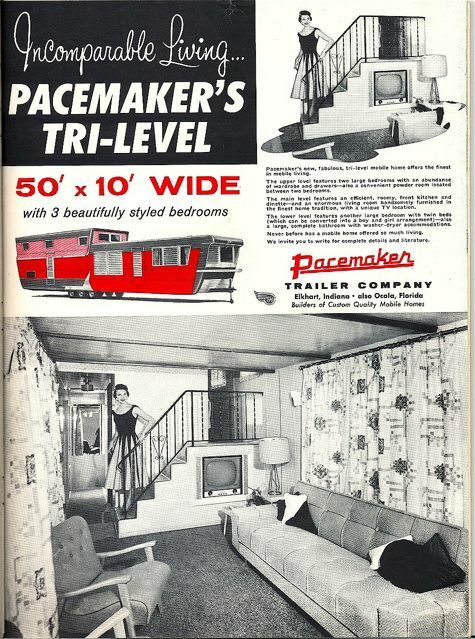 A tri-level home is one of my favorite designs, they proved that you could have style and substance in a movable home. Your fond memories are another reason why vintage mobile homes are so special – real people lived in them with wonderful memories. Thank you so much for sharing your story! It means a lot to me to hear them! Good luck and keep us in mind when you get it all finished! I’d love to feature it! Wow! What an amazing bit of nostalgia. My next door neighbor and best friend growing up lived in a split level. The very back bedroom had a bed, dresser, and little closet. The space under the bed was a large closet in the bedroom before that down the hall. So many childhood memories! 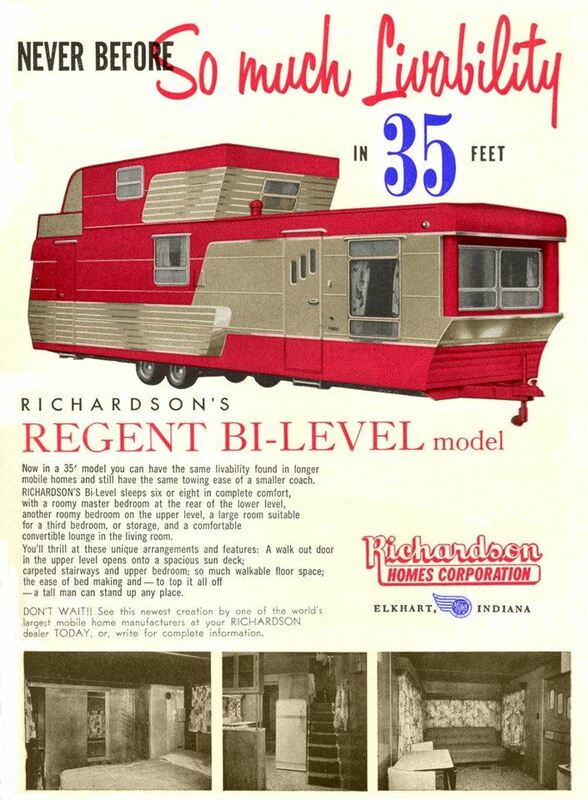 In the 60’s, my mom, dad and 4 girls lived in a 45×10 tri-level Gardner like the one in the ad above. It seemed spacious at the time but I’m sure it would feel claustrophobic to me now! My dad was an engineer with the highway department so we moved a lot. Mom would put the breakables and anything that might fall over on the floor then she taped the kitchen cupboards shut. Dad hitched the trailer to the truck and pulled it down the road to the next town and our new home. I would love to see one again and go inside! Great memories! I have only been in 1 tri-level and that was 25 years ago though I remember it like it was yesterday! It was the coolest thing I had ever seen in my life (I was only about 12 or 13 at that time). We lived way up in a hollow in WV but at the end of it (where it met the road, I suppose hollows have 2 ends…lol) there was a big lot that had a bunch of old mobile homes on it. They would take some away and move new ones on it all the time and my neighbor friends and I would ride our 4-wheelers down there and sneak through all of them.. Come to think of it, that old lot may have been a big reason I always loved mobile homes! It’s always great to share memories! Thanks for jogging mine a bit and for reading MHL! I grew up in a Stewart Gardner tri-level model home. Everyone asked if we had to crawl around in the upstairs because it didn’t look that tall. Hardly anyone ever believes me when I tell them about it now. I believe you Samantha! What a great home to grow up in! If you have any photos, I’d love to see them. I have been in one tri-level home and couldn’t believe how spacious it was – it really was a perfectly laid-out home. Love this post. Vintage ads are just entertaining by themselves let alone having content I like. Looking forward to double decker Spartans! Love the 2 story concept. 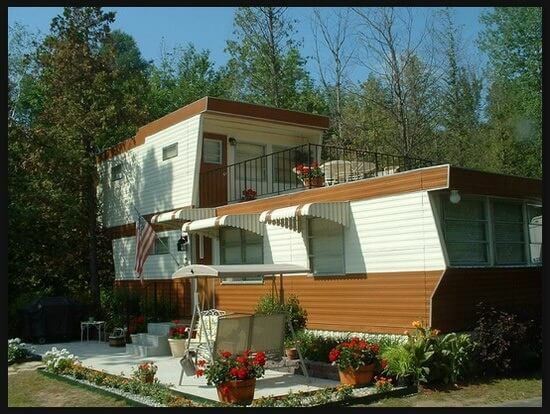 Do you know anyone making 2 story manufactured homes today? I have a great lot in Palm Desert. Or a single story home with a rooftop deck. Hi Marc! The Clayton dealership near my house has had a couple different 2-story homes on their lot in the last year. The first one was smaller but had a complete 2nd story. The other one was HUGE!! Neither stayed on the lot long so they must be selling well. Unfortunately, that’s the only dealer I have near me so I don’t know about any other companies specifically. I’m glad to hear they’re still being made. I’m enjoying your web site, I’m learning a lot. I live in a 1969 Town and Country with an upstairs loft. Lots of storage space in that end of the house, finished raising my children here. Now after 22 years I’m alone. Just me and my little dog 🙂 There has been many repairs and improvements made to this house over the years, but I am thinking she may be on her last leg now. She is 65 ft long and 12 ft wide. Wish you could post a picture. I love the sound of your gem. I think they’re never past repair, but depends on your ability to do it. I’d love to buy and fix up something like that. I probably couldn’t afford to do it either but love to dream. If you keep it, enjoy making it your own special space. I’m looking for a mobile to make my forever home too. 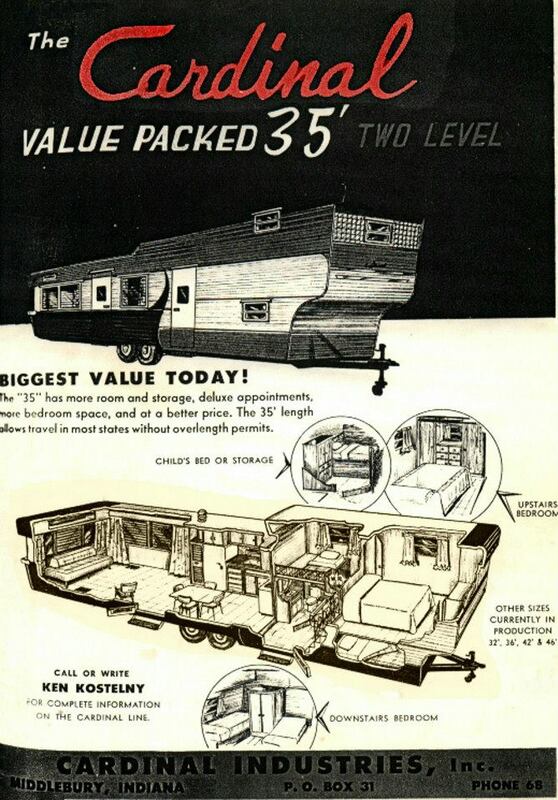 I had a friend growing up whose family lived in a mobile home that had an “upstairs”. My friends bedroom was the only part upstairs. Stayed many sleepovers there. I bet those were some great times! Memories of special friends and special places are so dear. 2 story mobile homes were designed as close to perfect as you could get – every inch was utilized and there was little to no wasted space. Anyone that appreciates architecture can certainly appreciate the bi and tri-levels. Thanks for commenting! I always love to hear from you! Crystal, you find the BEST STUFF! Thanks for this Suzanne! 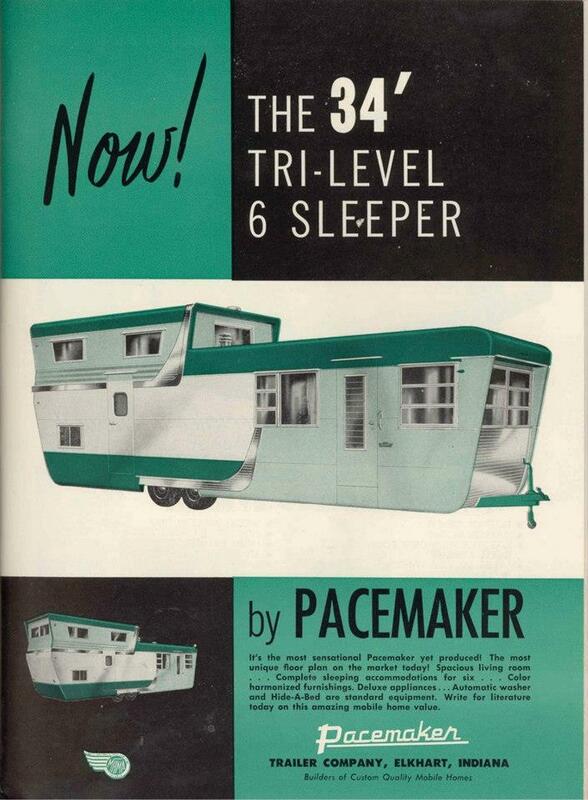 In 1958 dad bought a 1956 Pacemaker 35′ Tri-level and we lived in it all over the Western States. He built all the new Sears and Montgomery Wards stores out here and we lived in it right on the job sites. Surprisingly he hauled that heavy trailer with a ’58 Chevy half ton pickup with no effort at all. That trailer was really well built and seemed as big as a battleship. These pics really brought back some great memories. Thank you so very much for sharing!